At 5,895m/19,340ft Mount Kilimanjaro is the highest mountain in Tanzania and in all of Africa. It is one of the "seven summits" on the list of climbers aiming to scale the highest peaks in each of the world's continents. Unusual for a mountain of this height, it is not part of a range, but is a volcano which rises from the plains of East Africa. Mount Kilimanjaro is sometimes known as the Roof of Africa. It is the highest free-standing mountain in the world. It is not a technical climbing mountain, though, so anybody who is in good shape can climb it. Most climbers reach the crater rim with a walking stick, proper clothing and determination. 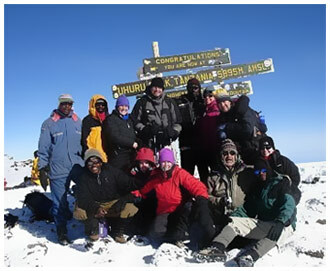 Those who reach Uhuru Point, the actual summit, or Gillman's Point on the lip of the crater earn climbing certificates. Kilimanjaro has six distinct ecological zones, each with its own climate. Even before you cross the national park boundary, the footslopes give way to lush montane forest, inhabited by elusive elephant, leopard, buffalo, and other small antelope and primates. Higher still lies the moorland zone. The climate becomes gradually drier, cooler, and more inhospitable to plants, animals, and people as you ascend towards the summit (a winter wonderland of ice and snow). Don't underestimate the challenge of the extreme altitude. People do this every year and inevitably fall short of success. Armed with the right assistance of qualified tour guides, your chances of success will be much higher. At Serengeti Vacationland Safaris & Kilimanjaro Treks, we pride ourselves in providing the safest Mount Kilimanjaro treks with our professional Mount Kilimanjaro Guides and equipment. We are proficient in First Aid, CPR and understanding the symptoms, treatment and prevention of mountain high-altitude-sickness. We will accompany you on your trek along with our outstanding crew. Our porters will carry all the camping gear, food, tents and luggage. Our friendly and polite crew will bring hot coffee, tea, or cocoa to your tent during your morning wake-up call and our trail chefs will amaze you with wonderful meals. 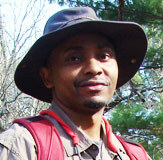 Meet your Mount Kilimanjaro Tour Guides and Trip Planners. Mount Kilimanjaro has FIVE main climbing routes going to the summit: Machame Route, Lemosho/Shira Route, Umbwe Route, Marangu Route, and Rongai Route. We concentrate on TWO ROUTES: Machame and Lemosho Routes. They both have views that are breathtaking and spectacular. They also have high success rates to reach to the top, less traffic, and provide more time for climbers to acclimatize, so they can adjust to the high altitudes. All the transportation from the airport to the lodge campsite or hotel. Transportation from the mountain gate to the lodge and the Airport. Accommodation and three meals a day as specified in the itinerary. All national parks entrance fees. Salaries for Mountain head guide, Assistants guides, cooks, porters, camp crew. 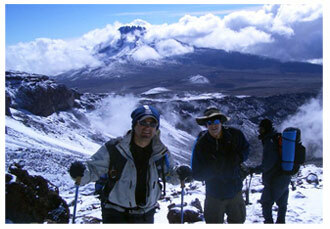 Services of professional English speaking mountain guide. Camping equipment such as Mountain Hard Wear four seasonal tents, Trango 3.1 and the North Face expedition tents. We carry our own portable toilets in privacy tents for our clients. We do not use or share the public long-drop toilets on Kilimanjaro. We carry oxygen for emergency use (medical oxygen cylinder tank, regulator & masks). We provide Katadyn water filters pump at the campsite. We carry our own Ice axe. Personal expenses such as bar beverages, Internet charges, phone calls and laundry in the lodge/hotel. Tips/ gratuities for mountain head guides, assistants guides, cooks, porters and camp crew. The best months to climb Mount Kilimanjaro are December to February and September, which offer the clearest and warmest conditions. June to August can also be a good time. Machame Route is known as the "Whiskey" route. It is one of the most beautiful and popular, passing through dense forest canopy to the glacier of Mount Kilimanjaro. It is a difficult route but has a high rate of success to the summit. 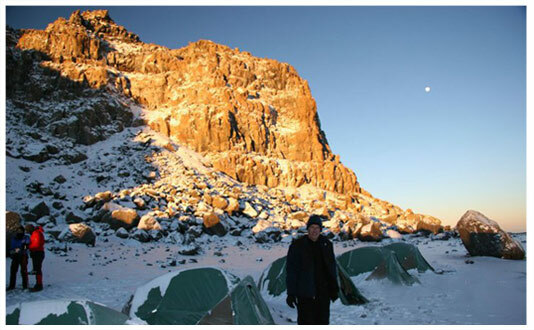 Lemosho Route is considered the most spectacular route and has higher summit success compared to any other route on Mount Kilimanjaro. It is our favorite route because it has low traffic and beautiful scenic views and gives you plenty of time to acclimatize. Umbwe Route is steep and considered to be extremely difficult and it is the most challenging route on Mount Kilimanjaro due to the quick ascent. It favors or is better suited for more adventurous folks and those with some hiking or backpacking experience. Even though it's a beautiful route and has low traffic, it has a very low success rate of summiting. 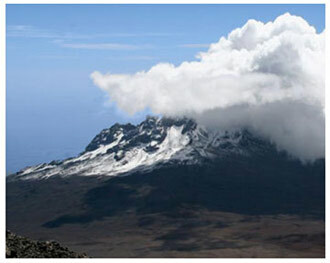 Kilimanjaro is composed of three distinct volcanic cones: Kibo, Mawenzi and Shira. Uhuru Peak is the highest summit on Kibo's crater rim.